COSMOS FLOORING - Since the companies inception, the company has grown rapidly in line with the dynamic and exponential growth of the laminate wood flooring industry in South Africa and globally, largely attributed to a dramatic fashion swing back to natural type or solid wooden flooring worldwide. 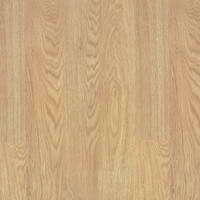 With enormous pressure being placed on the depleting rainforests of the world, manufactured wood floor products, or laminate wood flooring has become increasingly popular, with emphasis being placed on quality, durable and realistic looking flooring. COSMOS FLOORING now has offices in Gauteng and pride themselves on only representing the finest laminate wood flooring products in the world, the likes of which have been specified for large scale commercial and residential projects nationally. Cosmos Flooring is one of the largest specialist laminate wood flooring installation companies. We employ our own teams of highly trained fitters, with ongoing training conducted to ensure the highest international standards are maintained. An unsurpassed two year workmanship guarantee is provided on all installations in addition to the exceptional product warranty COSMOS FLOORING installers are highly trained and regularly re-trained. Thus we can offer a workmanship guarantee of two years, that covers. • The correct specified, quality & micron moisture barrier used. • The correct expansion left. • The correct thickness foam used. • We guarantee no shortcuts taken. The reason for the guarantee is that the manufacturer of the laminate wood flooring will not honour their warrantee if the incorrect products was used.